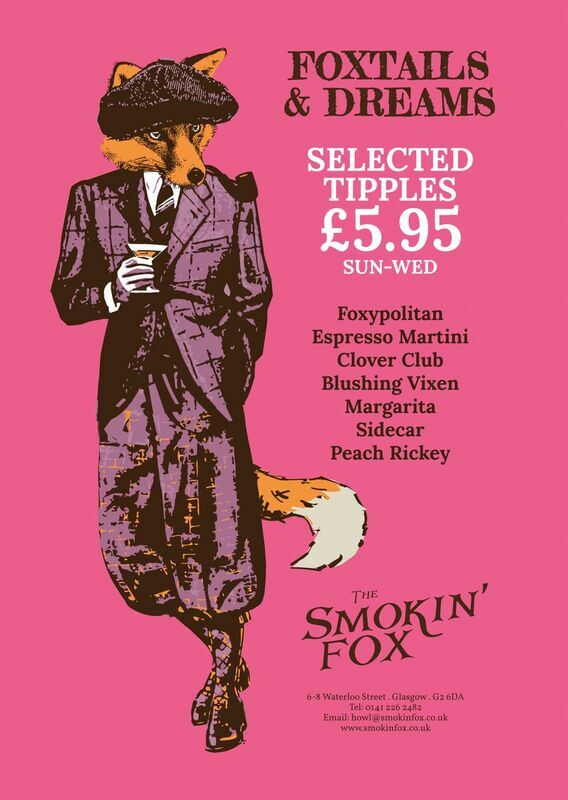 Across from Central Station, nestled on Waterloo Street, in the heart of Glasgow city centre, come and discover The Smokin’ Fox. Our Pub & Scullery is a tale of two destinations hosting a Victorian look and creating a sense of calm modernity, whilst retaining a classic pub environment making you feel comfortable and at ease. Our menu is something to get excited about consisting of feel-good food created with seasonal and local produce. There is something for all appetites, whether you are just grazing on a few nibbles or looking for a full on feast. 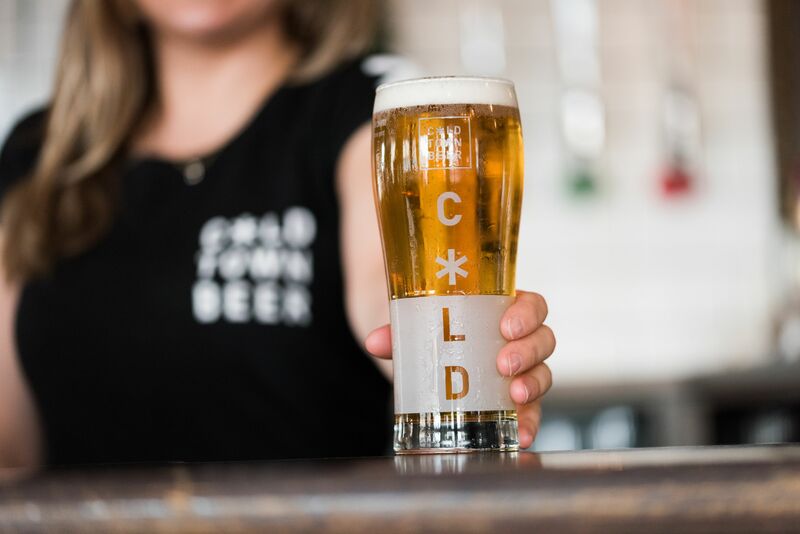 The team serve up bespoke and twisted cocktails along with craft beers from our favourite brewers and a modest selection of wine. Our drinks menu is extensive and our scullery gives “food” for thought! A pleasing selection of wine, beer, cocktails and everything in between. Perfectly crafted. Not trying too hard, not overly complicated but EXACTLY what you are looking for. Just tell us your poison and we’ll get it poured. And our food? Well if you are hankering after a meal that is homely and satisfying then we have just the menu for you. Our menu offers seasonal and local produce in an array of dishes that caters for all appetites so if you are looking for a light lunch or an evening meal then we have got it covered! 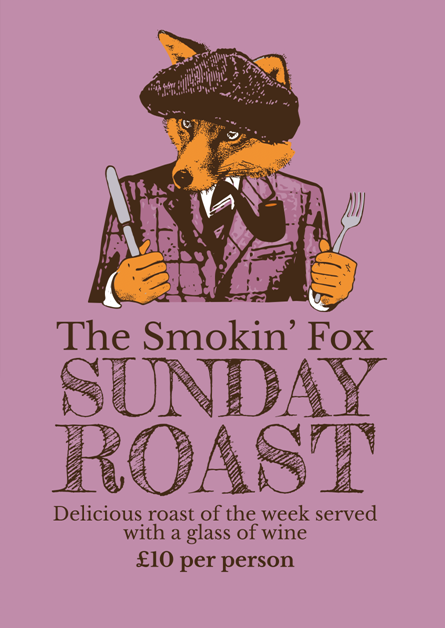 At The Smokin’ Fox we care passionately about where our food comes from and are proud to be able to showcase some of the best local food producers. We work closely with these handpicked producers ensuring that we can offer the finest local and seasonal produce.